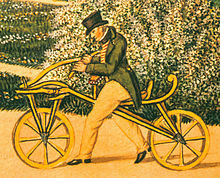 Karl Drais (April 29, 1785 – December 10, 1851) was a German inventor, who invented the Laufmaschine ("running machine"), also later called the velocipede, draisine (English) or draisienne (French), also nicknamed the dandy horse. This incorporated the two-wheeler principle that is basic to the bicycle and motorcycle and was the beginning of mechanized personal transport. 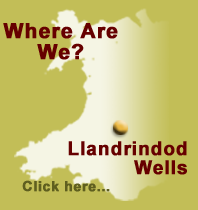 Drais also invented the earliest typewriter with a keyboard in 1821, later developed into an early stenograph machine, a meat grinder, and a wood-saving cooker including the earliest hay chest.